The correct disposal of car batteries and other lead acid batteries, by the Australian public and businesses plays an important role in reducing the impact, particularly by toxic lead, on human health and the environment. 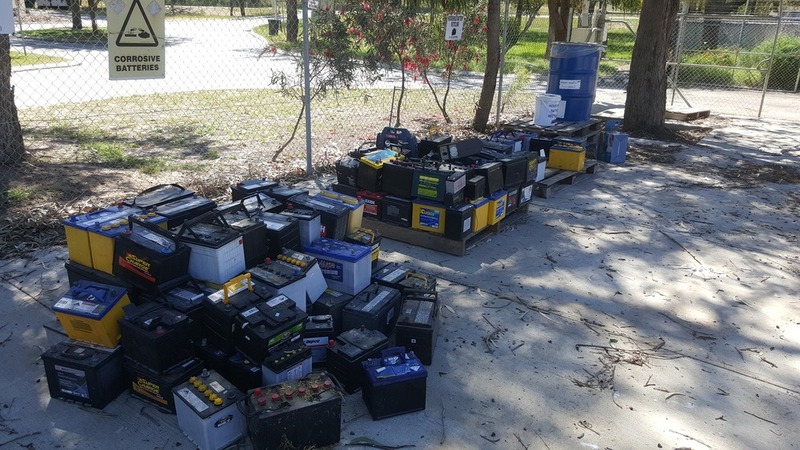 Battery Rescue however has identified current storage and collection practices are resulting in the Australian Public and environment being unnecessarily exposed to dangerous lead pollution. 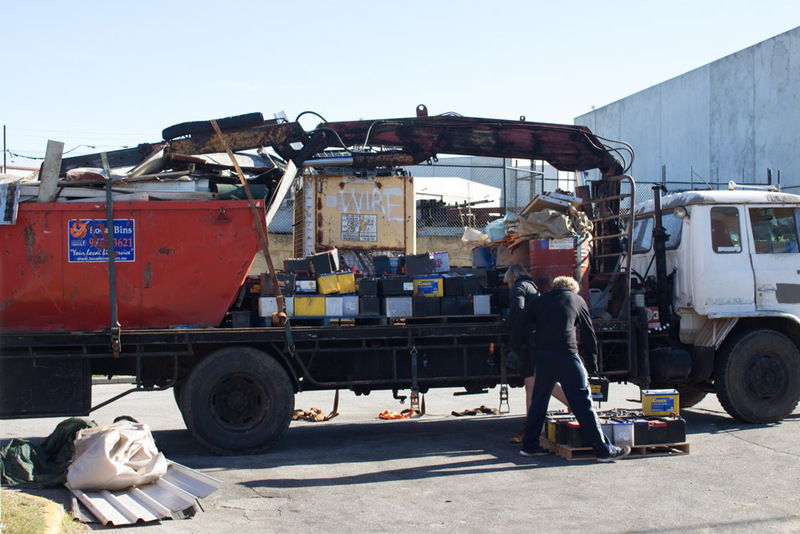 The Australian Lead Acid Battery Recycling Industry is not taking adequate measures to ensure that Battery Electrolytes are being captured during the storage and transportation phase. The acidic battery electrolyte contains high levels of lead as soluble ions and in particulate forms, which is safely precipitated from the electrolyte by Battery Recycling Facilities. Electrolyte that escapes during storage and transportation has not been safely treated. Lead levels in the electrolyte can be several parts per million, well in excess of what is considered to be safe levels for humans and the environment. The World Health Organisation states that there are no known levels of lead exposure that are considered safe and it is one of its top 10 chemicals of major health concern. The current Western Australian Environmental Regulations don’t explicitly ban the practice of storing used batteries outdoors on a non-liquid retaining devices, however it is an offence under the “WA Environmental Protection (Unauthorised Discharges) Regulations 2004” to allow toxic substances into the environment. Battery Rescue believe Australian Environmental Regulations should require that used batteries must be stored undercover and on a liquid retaining device. Follow this link for a full summary of the Australian lead acid battery storage requirements. 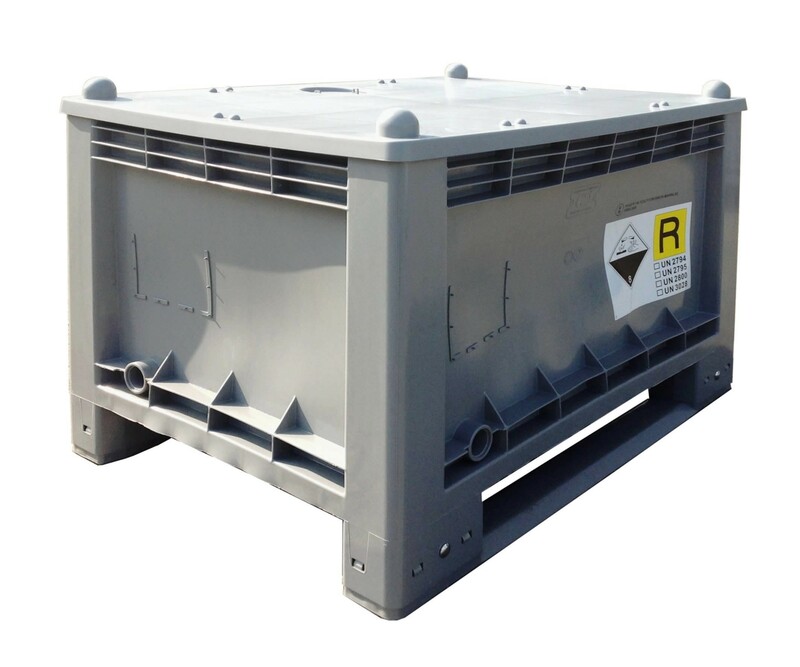 The predominant method of transporting used lead acid batteries (ULAB) is the wood pallet. It has become the default standard for several reasons, including its low cost, widespread availability and because many used battery recycling facilities have a stated preference for receiving the batteries delivered on wood pallets. The wood pallet however is manifestly inadequate for capturing acid leaks during transportation allowing the battery electrolyte to escape into the environment. In the event of a vehicle accident a significant contamination event could occur. The Basel Convention’s “Technical guidelines for the environmentally sound management of waste lead-acid batteries”, states that “used lead acid batteries must be transported inside sealed containers due to the risk of leakage”. A detailed summary of the Australian regulations for transporting lead acid batteries click here. In Battery Rescue’s opinion there are now sufficient alternative containers to the wood pallet that provide a safer and more sustainable option for storing and transporting ULABs, that the wood pallet … should be banned. 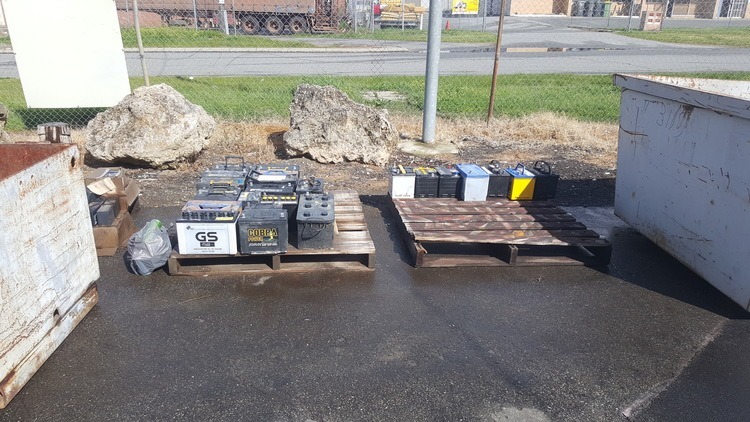 The risk of lead contamination along with other short comings when transporting used lead acid batteries means the wood pallet is not fit for this purpose. 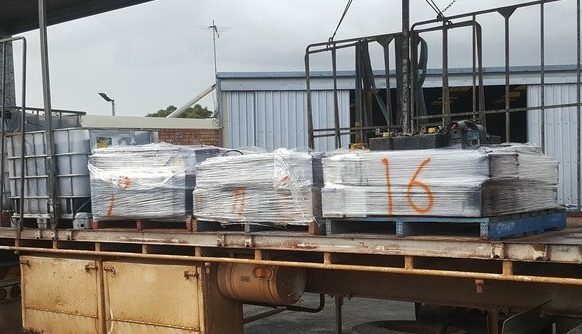 We don’t believe that the “apparent saving” and convenience of wood pallets is an adequate excuse to expose the Australian Public and environment to the dangerous long-term impact of lead.